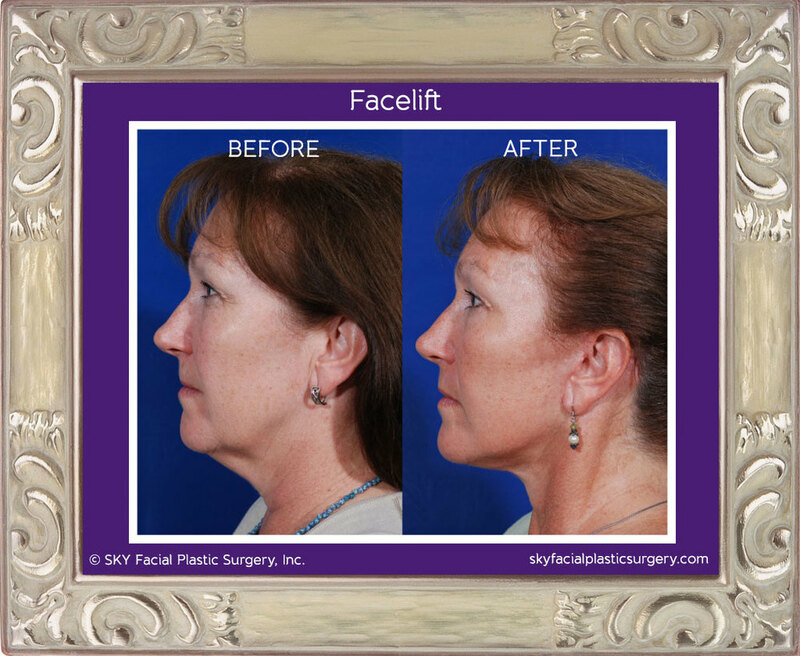 Facelift surgery, or rhytidectomy, is the gold standard for "turning back the clock" on aging in the lower face and neck. 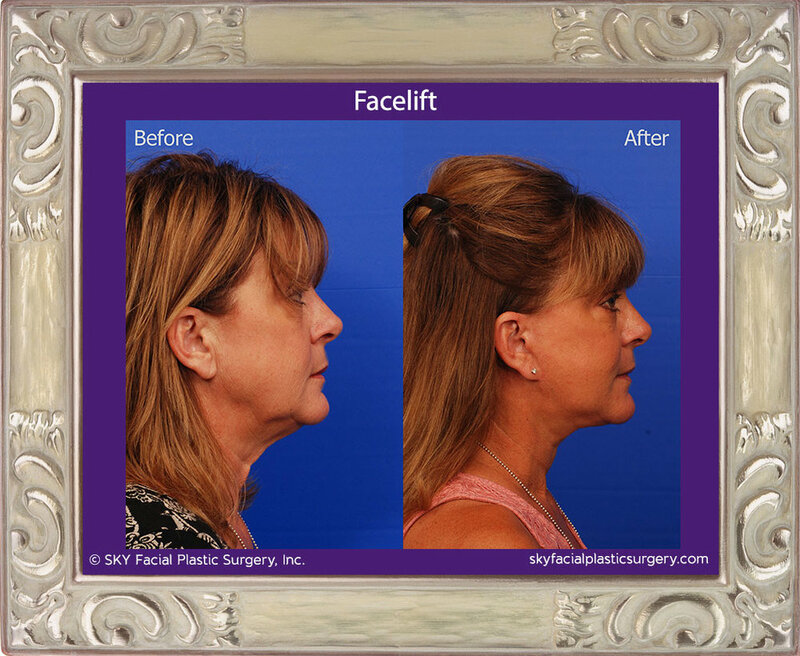 An effective facelift will restore youthful contours to the cheek, jawline and neck while maintaining a natural appearance. 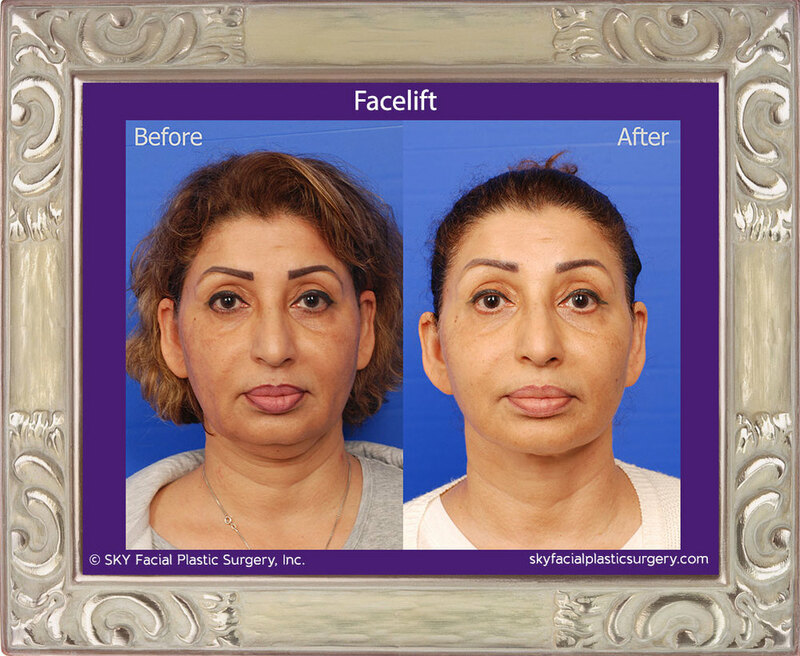 It is important to explain that a facelift does not address the forehead, eyes or midface. 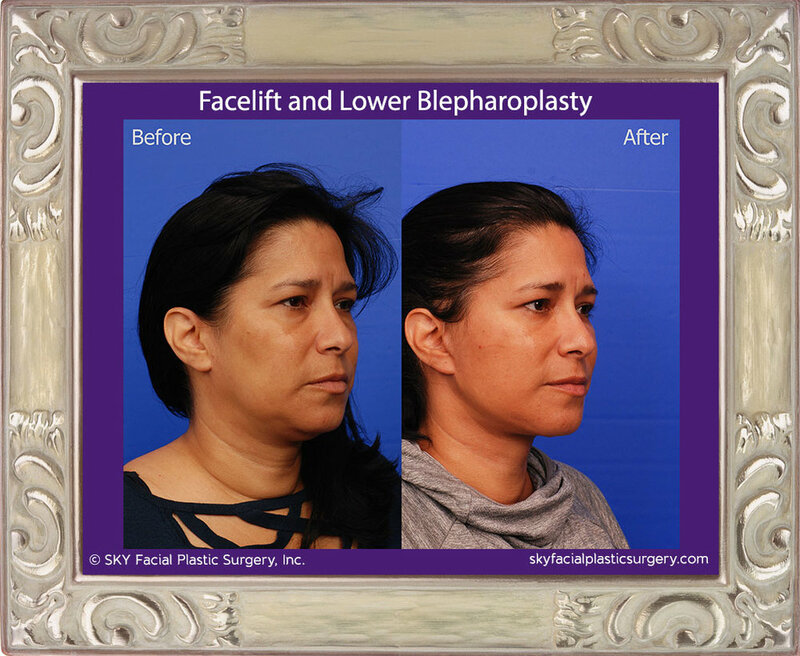 These areas are commonly treated at the same time via combined procedures (blepharoplasty, fat transfer, browlift, etc.). 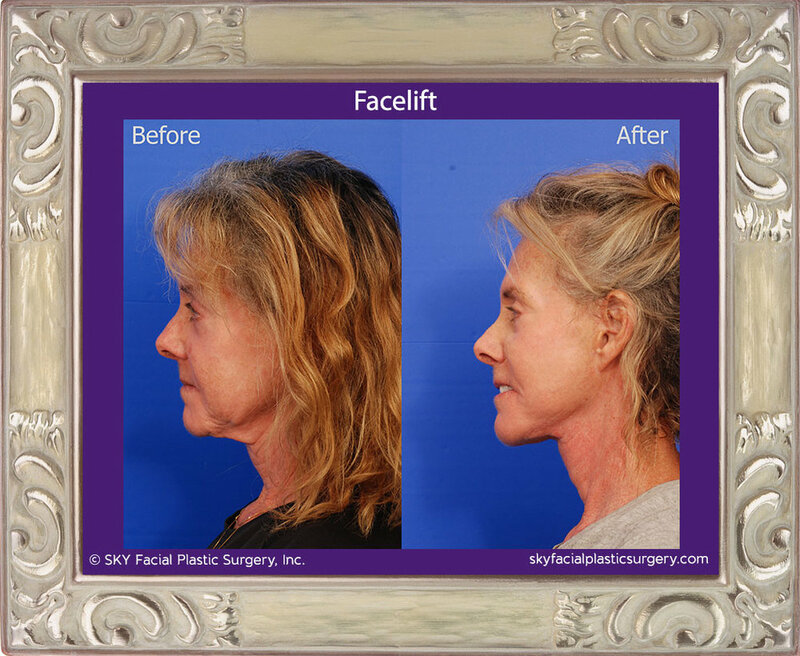 If you believe you look older than you feel, you may want to consider a facelift. 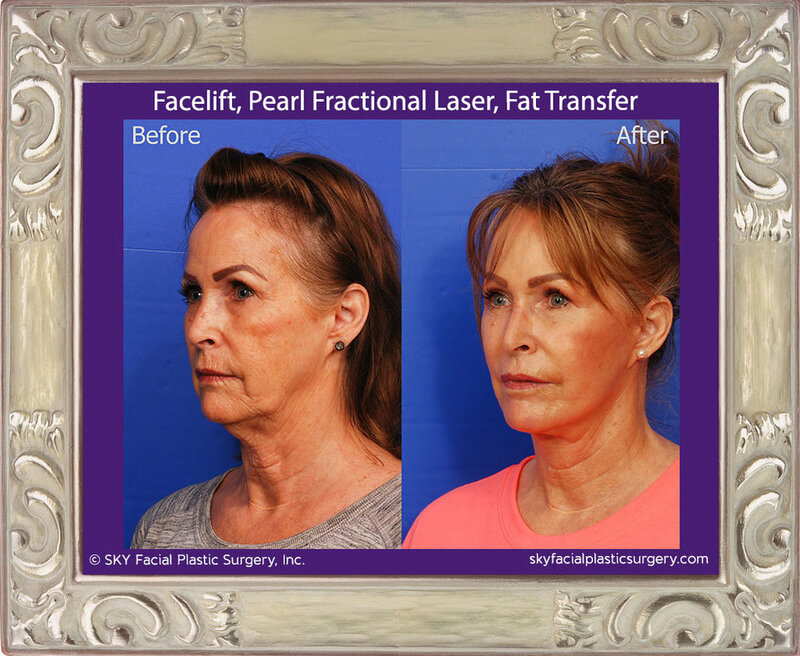 A facelift, especially when done in conjunction with other rejuvenation procedures, can remove wrinkles and return your face to a more vibrant and toned appearance. Consultations are the best way to discuss your needs with Dr. Sirius K. Yoo, our double-board-certified facial plastic surgeon. Please call (858) 381-4801 to schedule a consultation with Dr. Yoo at our San Diego office. 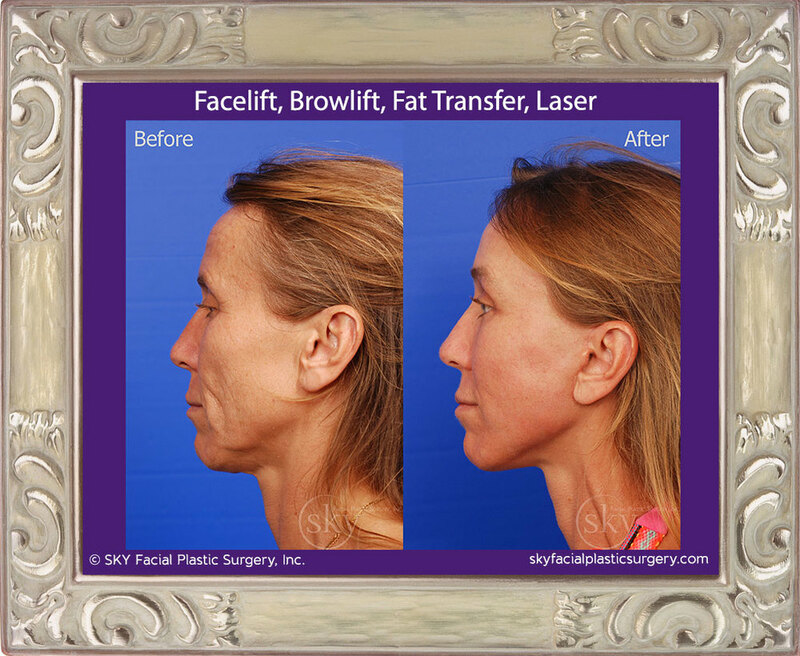 This patient had a deep plane facelift, browlift, medium volume fat transfer and fractionated laser treatment for rejuvenation. 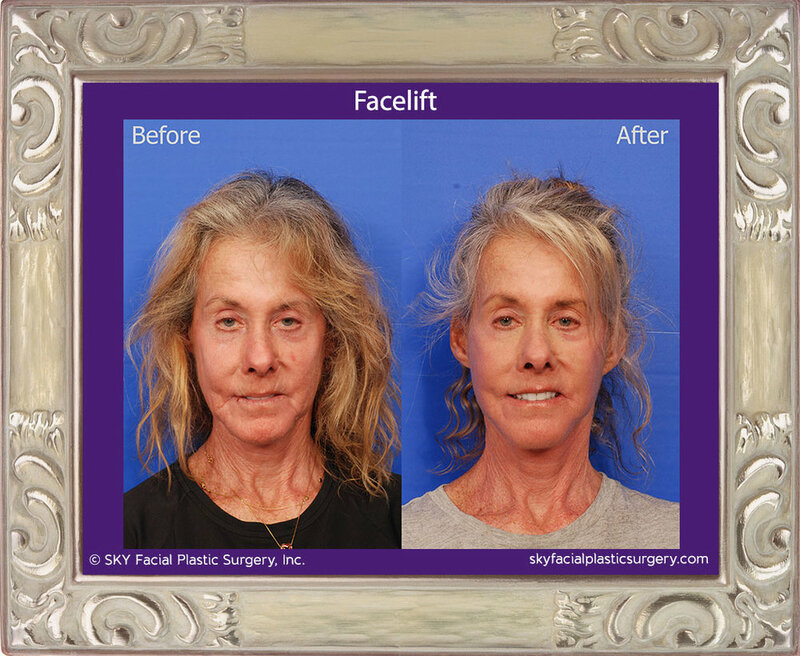 Facelift surgery is commonly performed on an outpatient basis. It is performed under sedation or general anesthesia depending on doctor and patient preference. 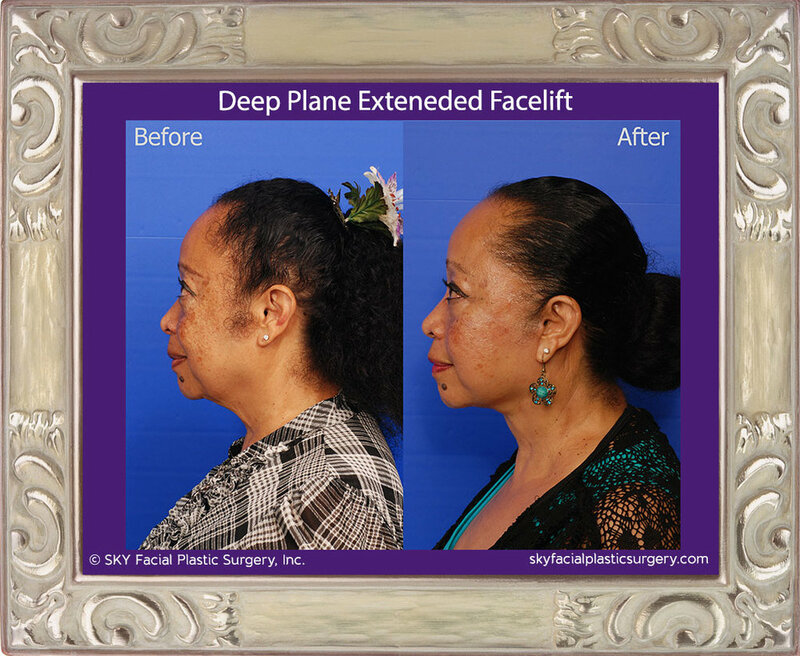 In a facelift, the incisions are hidden behind the hairline, placed within natural skin folds, shadow lines or behind the ears to minimize visible scarring. 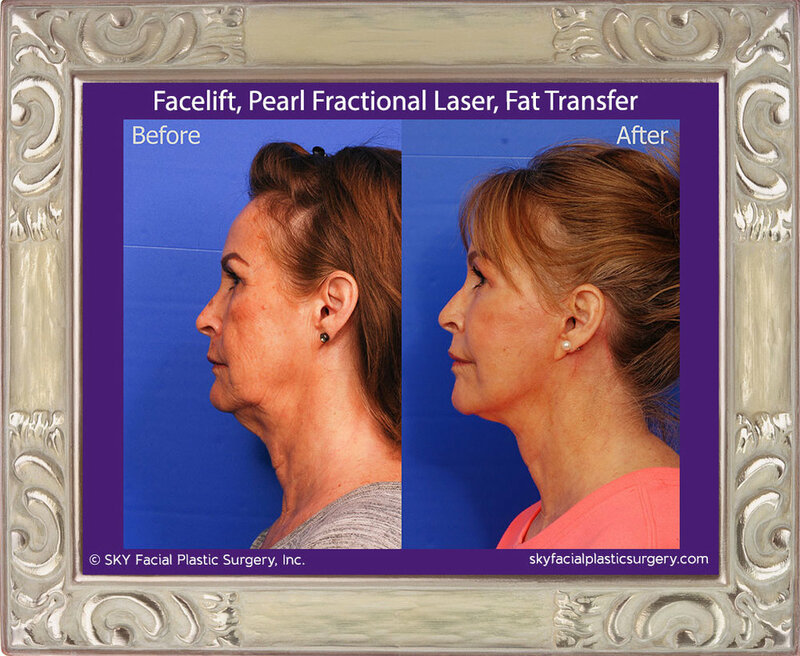 After the incisions are made, Dr. Yoo will remove excess fat, and tighten the facial soft tissues. Then Dr. Yoo will re-drape the facial skin without tension, removing the excess. After the extra skin is removed, the incisions are closed with sutures and/or staples and a support dressing is applied. Swelling and bruising are normal after surgery. Bruising can be apparent up to two weeks and swelling gradually diminishes over time. Pain is minimal and is controlled with oral medications. Most patients are able to return to their usual routine within two weeks. 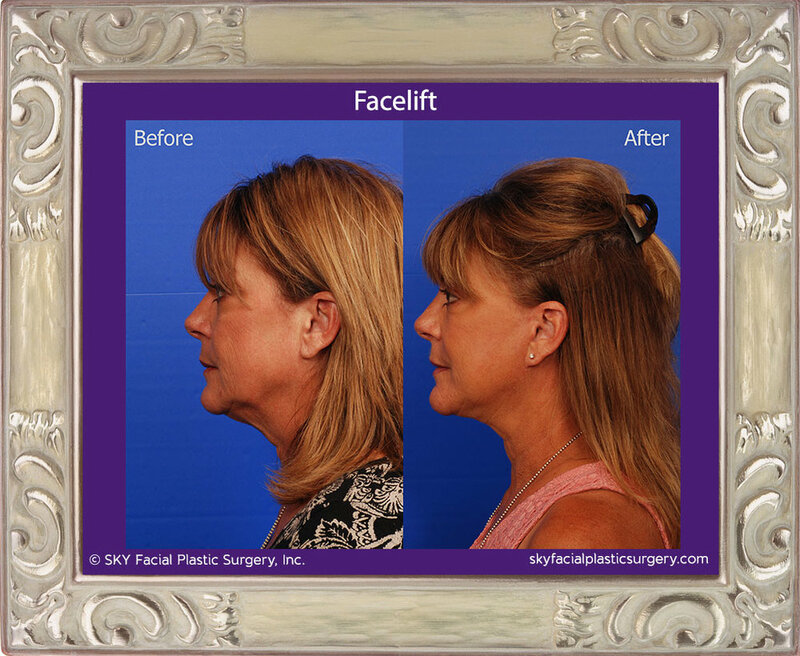 Mini-Facelift surgery is a short scar face lift, which means that the incisions are smaller than a conventional face lift. Because the incisions are smaller, less skin can be removed without bunching. 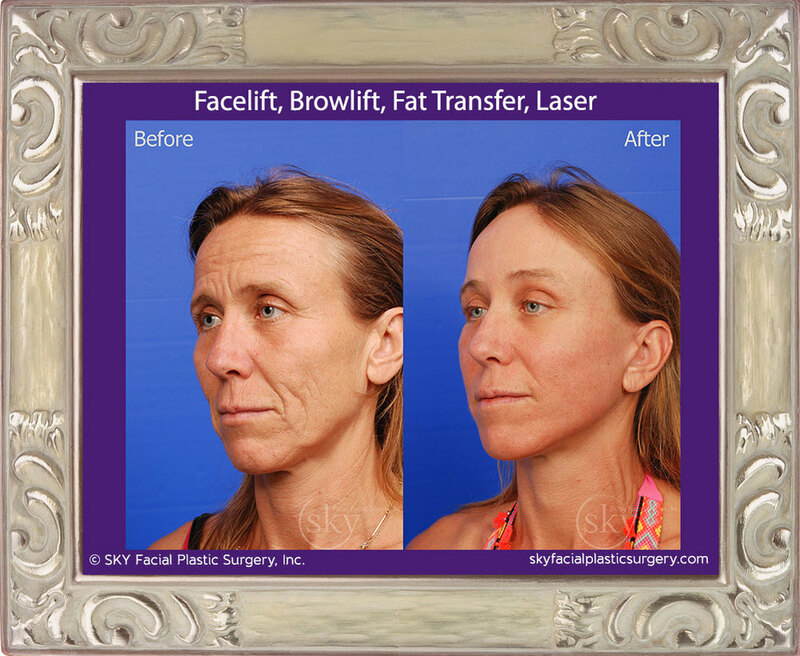 This procedure may be right for patients who don't have severe jowling and who maintain a relatively healthy weight. 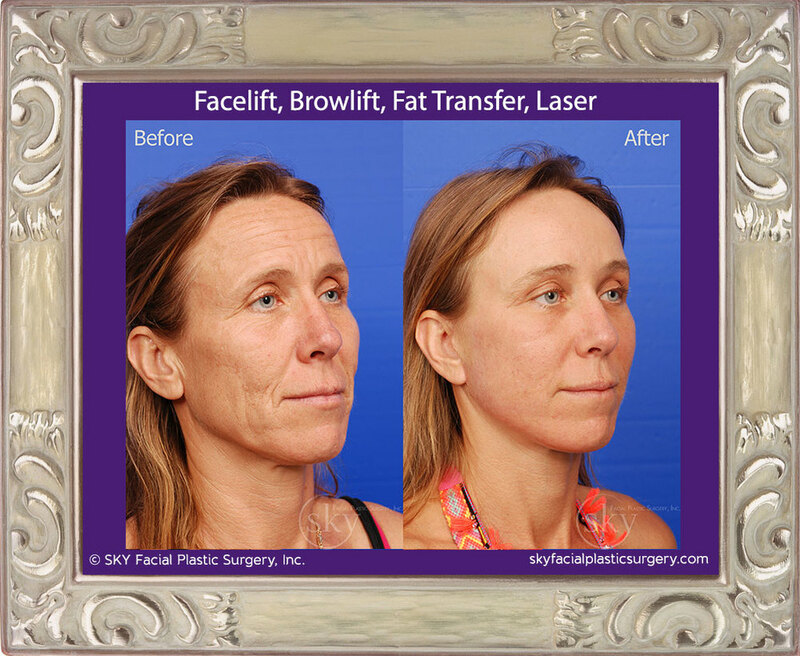 Mini-Facelift surgery is commonly performed on an outpatient basis and usually under general anesthesia. Mid-Facelift is a surgical technique used to restore the cheeks to their more youthful position. The cheeks sag with age. This procedure elevates them as necessary. Incisions are frequently made within the hairline and can be combined with other procedures. 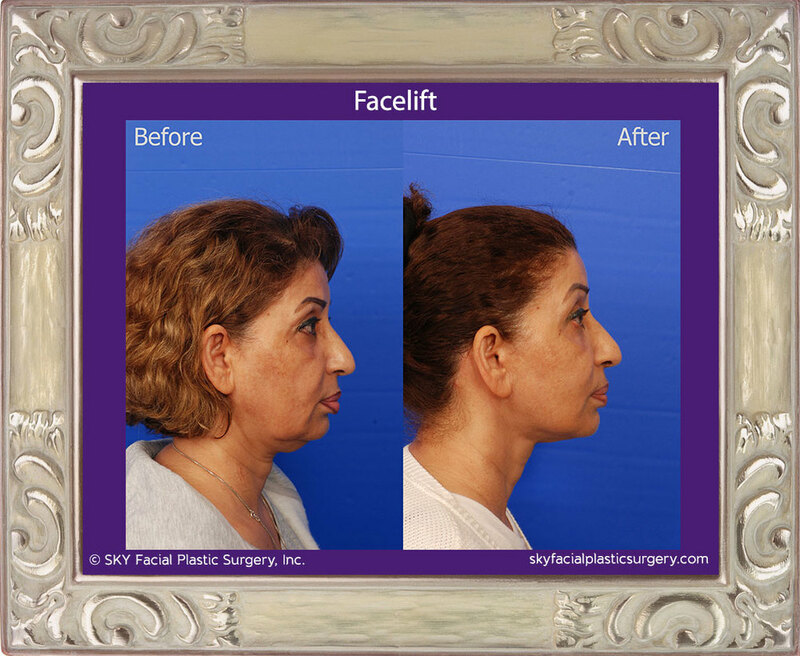 Occasionally patients do not like the idea of having a full facelift and ask Dr. Yoo to perform a necklift or cervicoplasty without incisions around the ears. 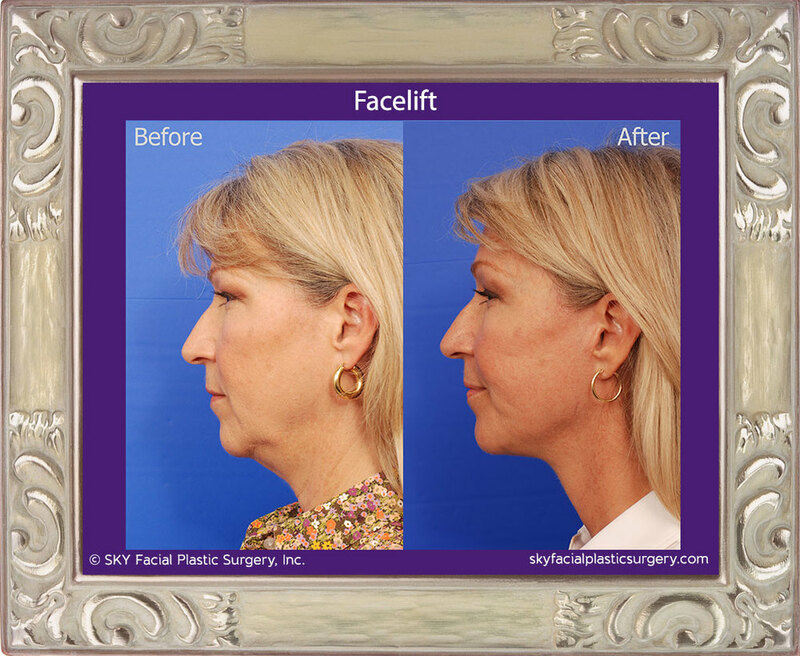 This surgery is designed to improve the neck line (and not the face or jowls). It is comfortably performed under local anesthesia with the patient awake. Neck liposuction is a cosmetic procedure to reduce the amount of fatty tissue in the neck and submental areas. 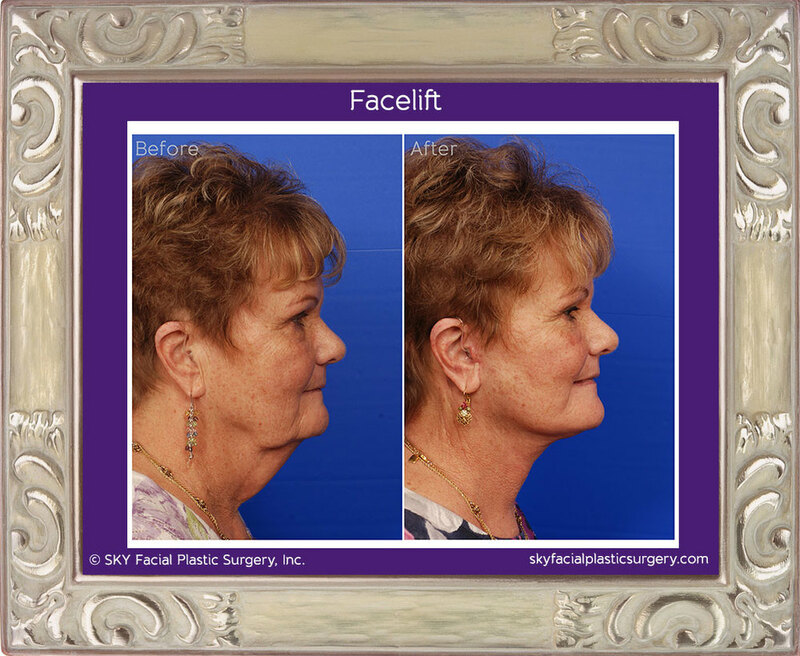 This produces a more defined and sculpted jaw line from all angles. This is usually performed under local anesthesia sometimes with a little oral sedation. Neck liposuction can also be combined with subdermal laser skin tightening for maximal results. Laser liposuction and chin implant. Laser liposuction with chin implant. Minimal downtime, no incision technique to rejuvenate the lower face. Learn more.